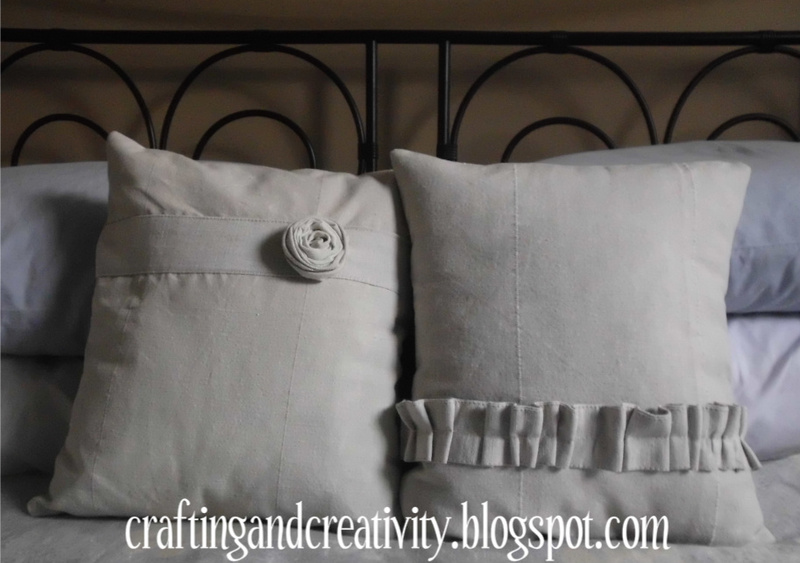 I used the extra fabric after hemming the linen Ikea curtains in the room. And I also used the tie-backs! 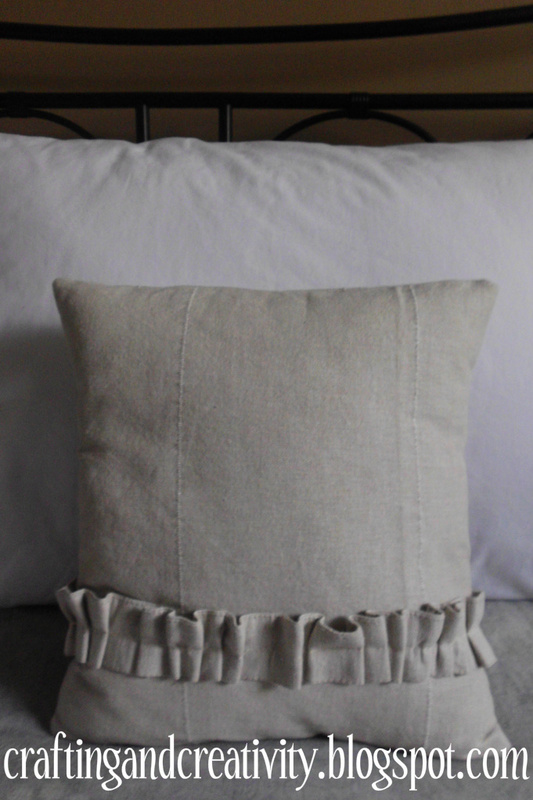 For the first one, I made the cushion cover, then added on the tie-back by making the ruffled band on the lower half. I was pretty pleased with how it turned out! I wanted the second one to coordinate without being too matchy! So I used the 2nd piece of tie-back fabric to sew the band onto the upper part. 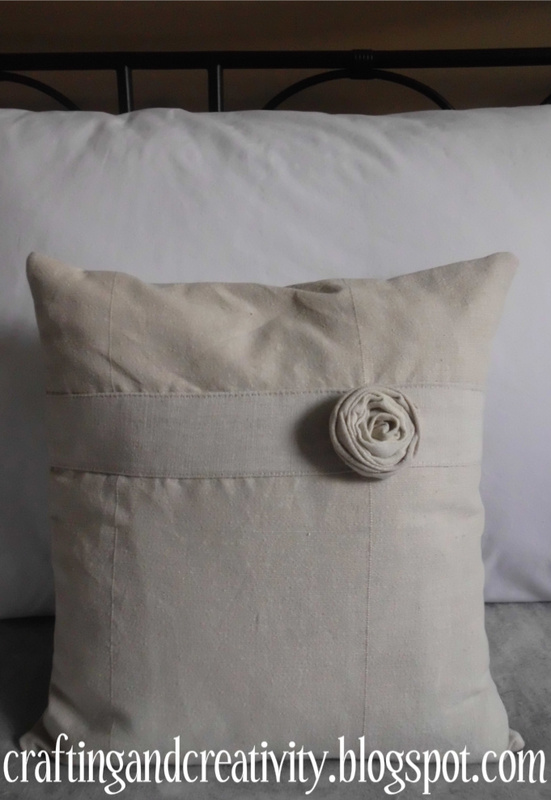 Then I used some scrap fabric to make a rosette, then I added it on using my glue gun. (These are more decorative and hopefully won't need to be washed as often.) I also love how this one turned out! This is amazing! Great job. 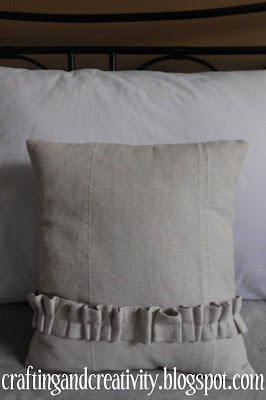 I'd love if you would stop by Sew Woodsy, and link up your new cushions! Very cute pillows. I love useful things made from useless stuff! 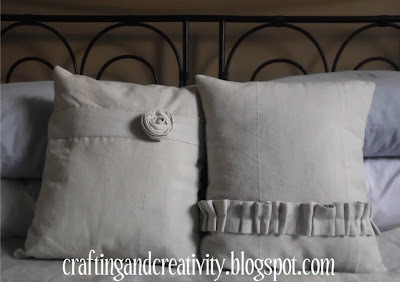 Great job using up the leftover fabric. Saw you at Young and Crafty. So, so pretty! I love them! They are so beautiful. Great job! These are very cute! 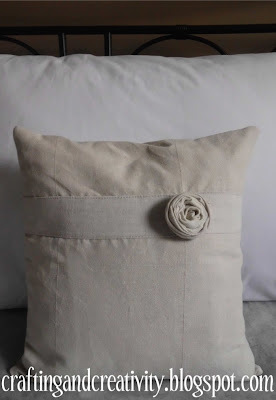 I just started making pillow covers too, they're fun to make! Simple yet beautiful! Thanks for sharing! beautiful! i love the rose! Cute Pillows! Love the simple colors too!! !